Spring is in the air, and you know what that means. It's time to clean the house from top to bottom and get organized. You don't have to be as meticulous as Martha Stewart to live clutter free. You just need to take advantage of the space that you have and the organizing systems that are at your fingertips. Springtime is wonderful! The birds are singing, the flowers are beginning to grow... and there's mud everywhere. But that's what a mudroom is for, and you can make yours work a lot better. A mudroom collects the things that you don't want throughout the house. That includes muddy boots, wet umbrellas, hats, backpacks and more. Add a great all-season utility rug to keep the entryway clean. 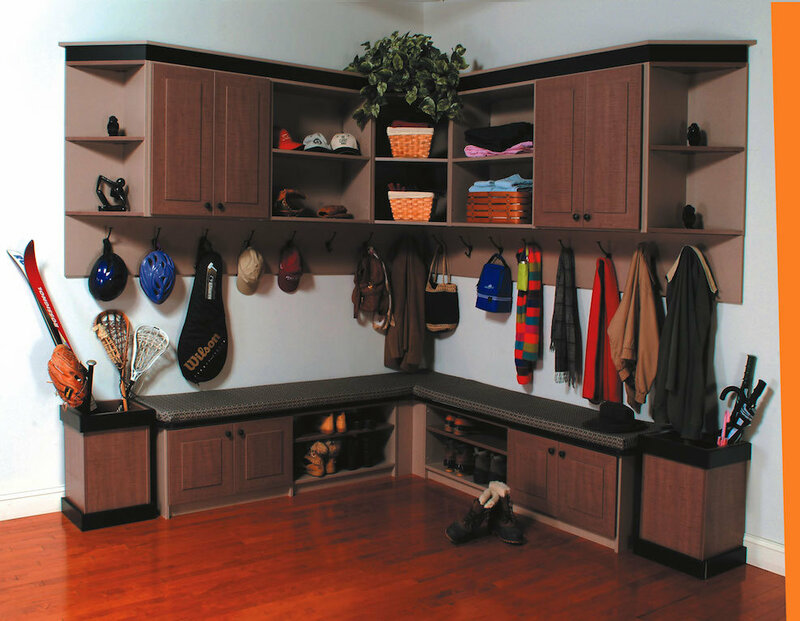 With a carefully designed mudroom system, you can contain all of your outdoor apparel and shoes, and it will look and work like it was custom made for your home. That's because it was. It doesn't matter if you have a little space or a lot, or if you have no formal entryway at all. The Closet Works can create an organization system where dirty shoes stay off the floor, umbrellas drip where they can't harm your floors, hats and backpacks get stored instead of tossed, and everyone's jackets are within easy reach. After a winter of slush and grime, your garage probably looks like everyone else's: a mess. 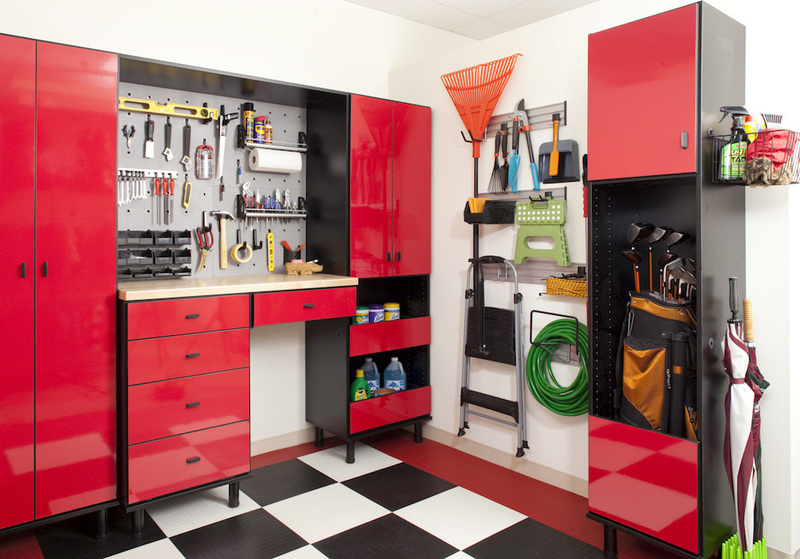 But did you know that garage organization can be sleek, beautiful and sturdy? You've got so many organization possibilities with garage storage. First, it's time to declutter. 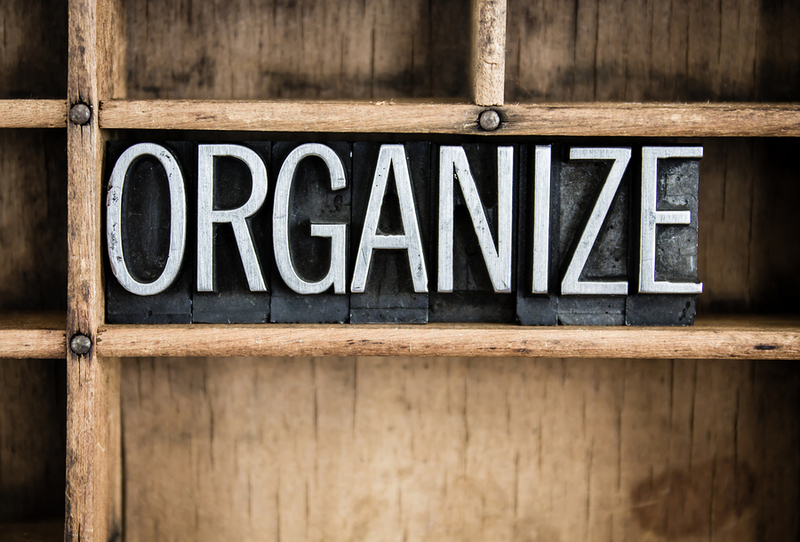 Get Organized says "be ruthless," and that applies to garage-stored things as much as it does clutter inside the home. After you've purged items you no longer need, install a cabinet for sports equipment and toys, and another for housing all of the lawn and garden tools that you'll soon be using. Speaking of tools, why not make this the year when you create a real work bench? Add tool storage where cords never tangle and all of your nails, screwdrivers and hammers are always easy to find. If you've got bicycles and other larger items that take up a lot of garage floor space, think about wall-mounting racks or hooks. Imagine opening the garage door without worrying about running over your kid's bike or your golf clubs. Most people swap out winter clothing for spring at the forefront of the closet this time of year. But instead of stuffing everything into bags or cardboard boxes, you can keep out-of-season clothes in great shape until fall comes around again. Closet organization can maximize your storage space. Instead of a plain rod and bare walls above a shelf, you could have cupboards, shoe racks and cubbies, slacks hangers, dual hanging rods, and basically a system of components for everything that you own. You might find that there's no need to haul sweaters to the attic because there's new space inside your closet. The more wall space you use, the more you can store. And Martha Stewart says using aromatic herbs inside such as lavender can help keep everything smelling fresh. If you still don't have enough space, consider an organizational system elsewhere. You could create storage in the laundry room, guest room or even a temperature-controlled attic. It's the perfect time of year to clean up and get organized. Maybe that's because the sunshine and springtime's warming temperatures are invigorating. Whatever the reason, you've got a lot of options. At the Closet Works, we work with you to design beautifully well-made, custom organization systems that fit your home, your lifestyle and all of your belongings. It's surprisingly affordable, too, and your choices are virtually limitless. 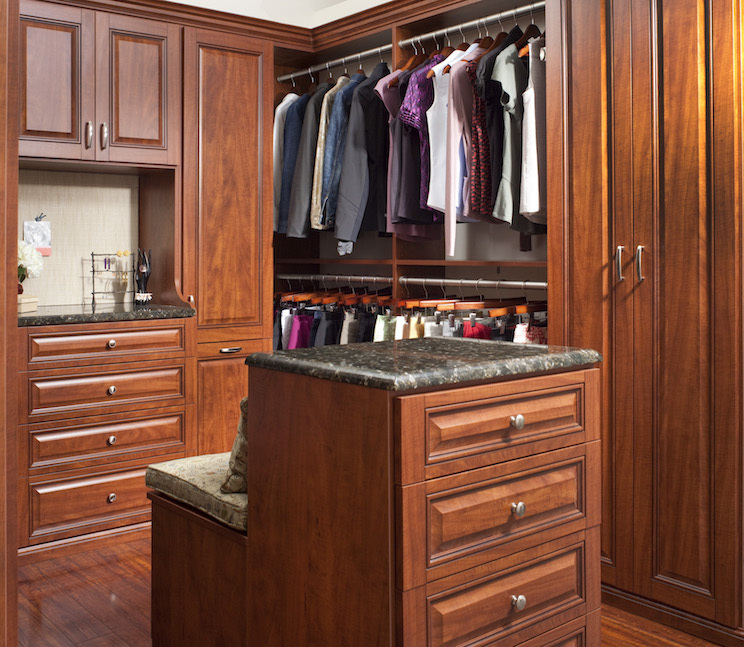 Schedule a free design consultation today and learn what makes the Closet Works different and so much better.